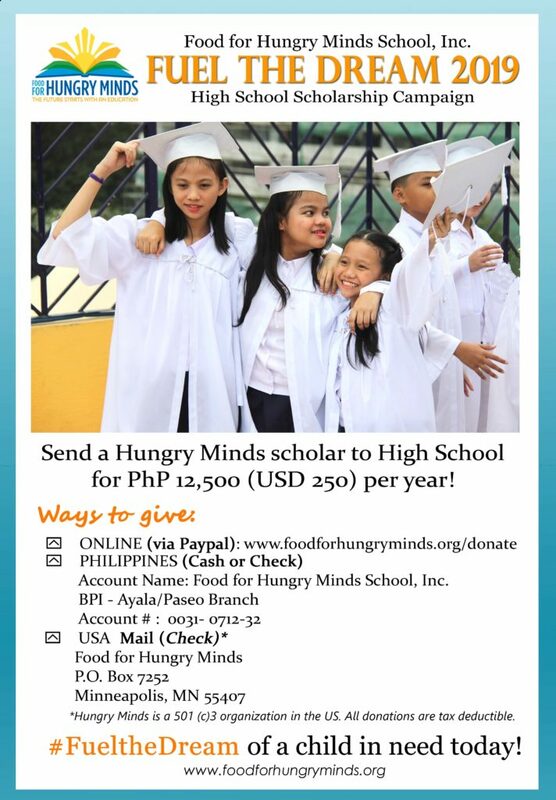 Food for Hungry Minds needs your help! Donate 12,500 (US$250) a year to help one child continue his/her high school education. Sponsorship covers allowance for food, transportation, and projects for a student enrolled in a public school. Those who want to sponsor a College student may also do so for P25,000 per year. This covers the same kind of allowance and assistance for books. Donation portals are below.